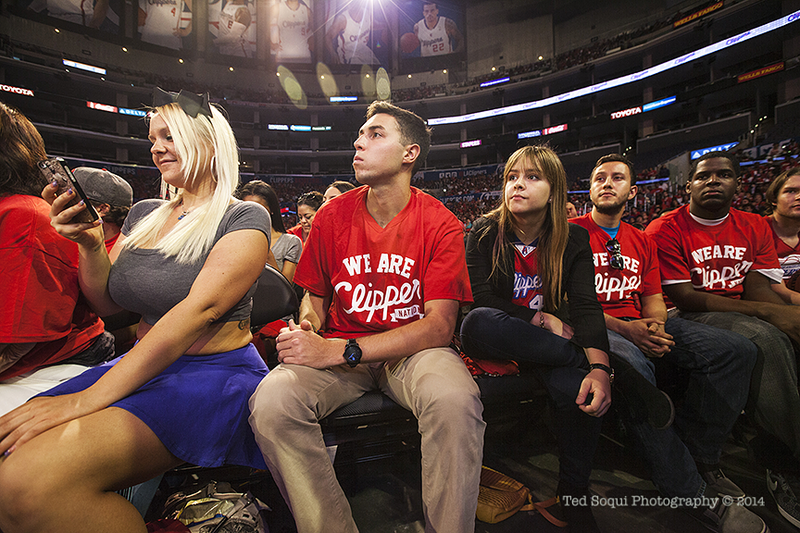 The Los Angeles Clippers and their fans welcome new owner Steve Ballmer to the Staples Center. The new super-charged owner rallied the fans and players with promises of a NBA championship for the team. 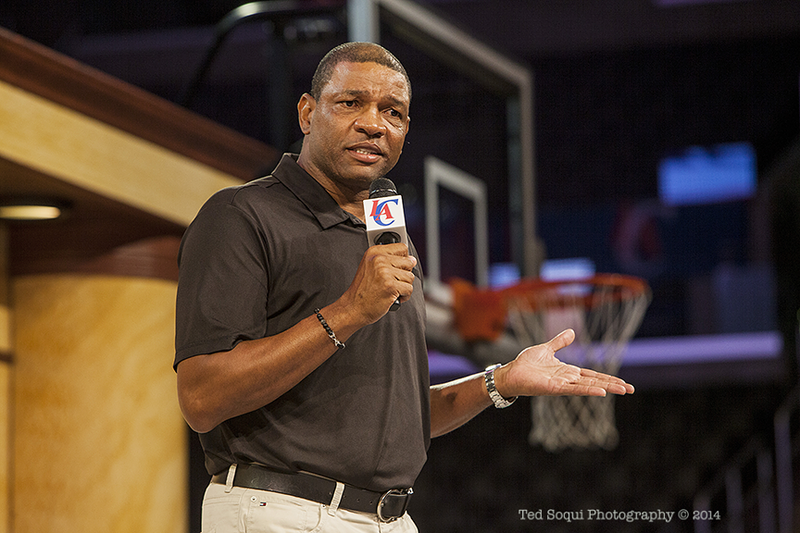 Doc Rivers, the team coach, stated that he only expected hundreds of fans to show up today. He was pleasantly surprised to hear there was thousands in attendance today. 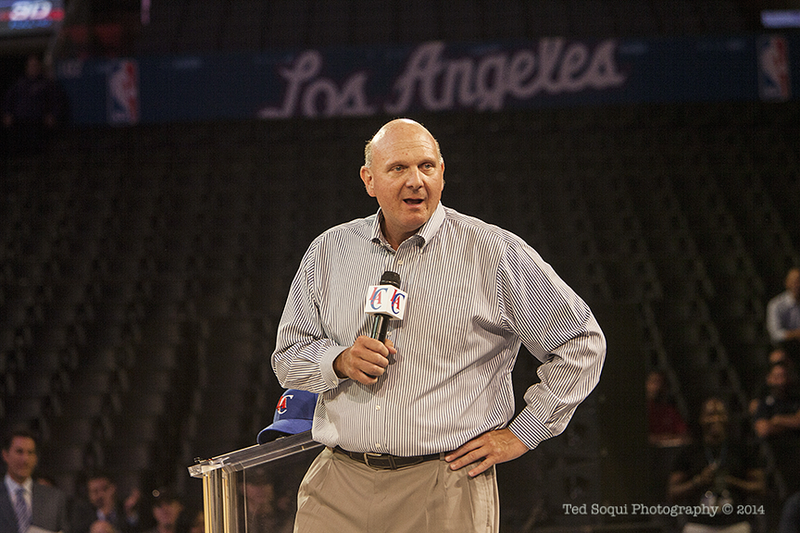 New L.A. Clipper owner Steve Ballmer. 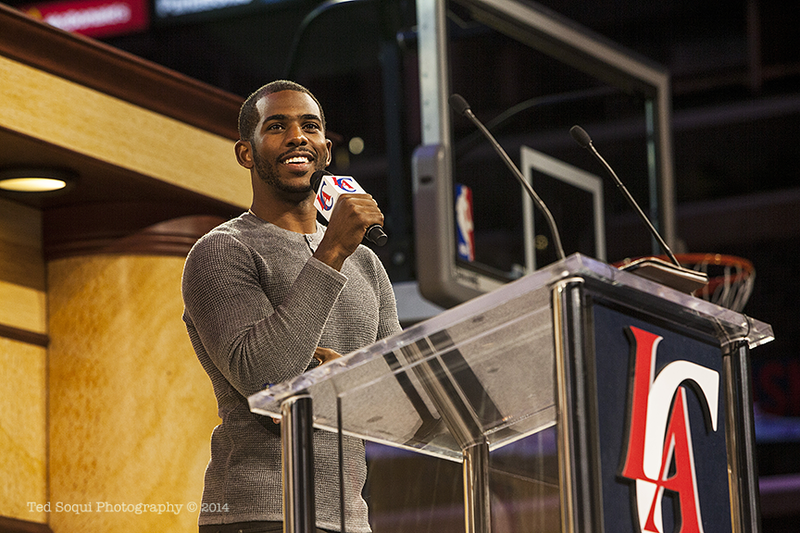 L.A. Clipper player Chris Paul. 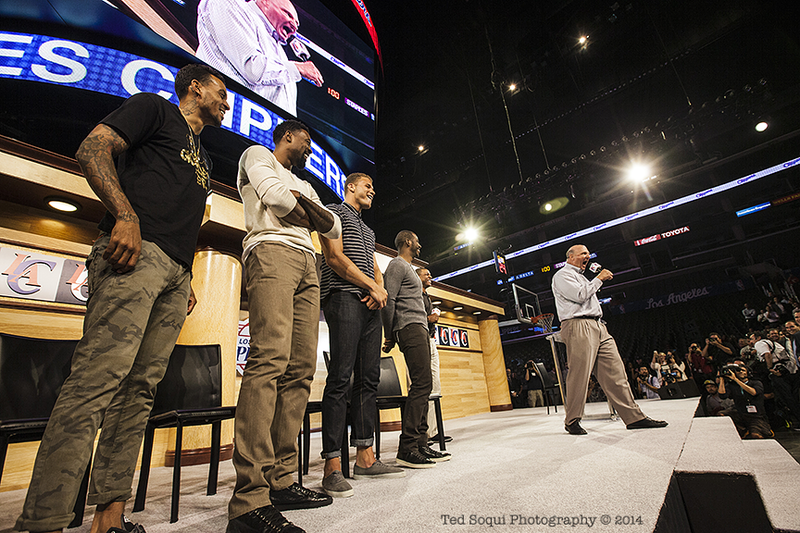 Coach Doc Rivers ask us about "Larry."